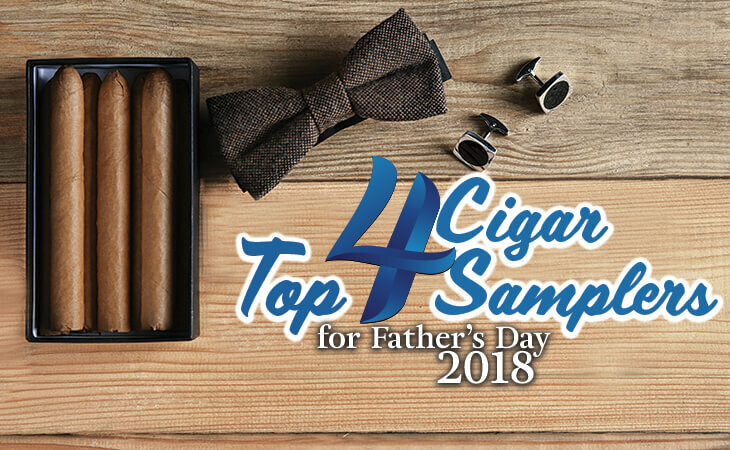 Right out of the gate, this one kind of has it all – great gift box presentation, five different versions of one of the most respected cigar blends on the planet, and a more-than-reasonable price of admission. 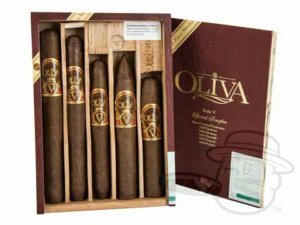 Showcasing Oliva’s top-rated, award-winning Serie V cigar in five unique sizes, the Oliva Serie V Sampler presents a chance to hook Dad up with some of the most celebrated smokes of the past decade for only $7.99/stick. V for victory. Q: What’s 100% Nicaraguan, universally well-regarded, and flawlessly consistent from stick to stick? 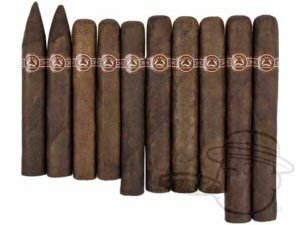 A: Why, it’s the Padron “1000’s Series” of course, and our Padron 1000’s Series Sampler packs in two cigars each of 5 unique styles of these fan-favorite puros in both natural and maduro wrappers. This top-tier 10-pack is a prime choice for pops not only because of the undisputed incredible quality of Padron, but also because @ BCP you get them for only $59.99. Grab this pack, call it a day, and with any luck, Dad will share. 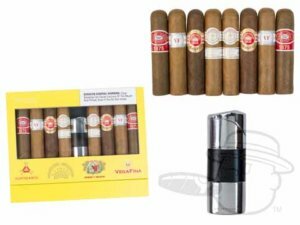 A great way to spoil your old man with a virtual buffet of best-selling cigars from Romeo y Julieta, Montecristo, H Upmann, & Vega Fina all in a perfect compact tasting size, our Altadis Robolo Sampler with Lighter comes with eight of the aforementioned all-time greats in the convenient 4 1/2 x 60 Robolo vitola, AND a powerful 4-torch lighter to toast them up with. Not only are these short, stout, “sweet-spot” cigars exclusive to us here at BCP, but this kind of value on these top brands is as well. No matter what kind of cigar-man your dear ol’ dad happens to be, one of these four samplers is sure to hit his spot. And, in the very, very unlikely case that one of these won’t do, we still have a ton of other sampler options for you to choose from here. Either way, stick with us and you’ll be a shoo-in for Dad’s Favorite this year.